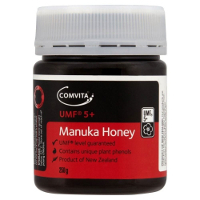 Comvita UMF 5+ Manuka honey is sourced from New Zealand and is extremely high quality as well as natural. 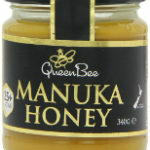 This manuka honey is also certified and has the UMF or unique Manuka Factor label, which indicates that the naturally occurring elements that make manuka honey so special have been identified. 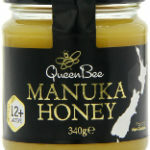 The Unique Manuka Factor label means that consumers of honey can be sure this is a genuine manuka honey. This pure New Zealand manuka honey is simply delicious – if you are wanting a honey with a different UMF rating then try one of Comvita’s other manuka honeys that have a higher number. Comvita UMF 5+ Manuka Honey will still have plenty of the natural goodness, antioxidants, minerals and nutrients that give it such a great taste. (Remember that infants below the age of one should not consume honey).